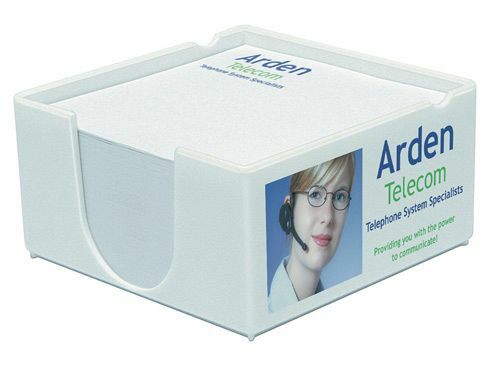 Manufactured in a wide variety of colours, this smart range of promotional memo holders has been given a sharp new look. Incorporating a penholder and containing approximately 500 sheets of white paper, these holders are now available in a variety of colour options. These memo holders are ideal promotional gifts and are guaranteed to bring success to your brand building exercise.